Odilon Redon was a French Symbolist painter, graphic artist and draftsman. He became famous for his quite mysterious painting compositions that is said to reflect an exploration of the artist’s internal feelings and thoughts. He was more noted as one of the outstanding figures in Symbolist art. 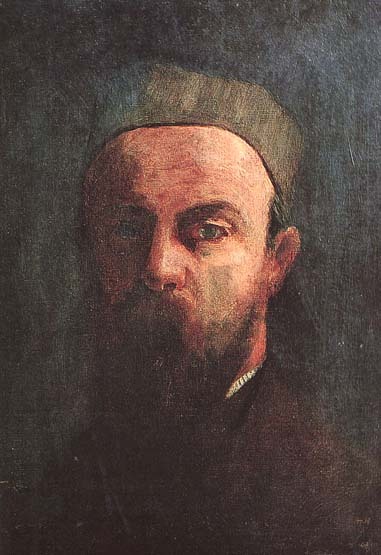 Odilon was born Bertrand-Jean Redon on April 20, 1840 in Bordeaux, Aquitaine in France. His nickname Odilon came from his mother who was named Odile. He was born from a prosperous family. His talent for drawing showed early on. His formal training in drawing started when he was fifteen but later moved to architecture due to the insistence of his father. He failed to pass the entrance exams at the Ecole des Beaux Arts in Paris, dashing his hopes of ever becoming an architect. He eventually studied sculpture after going back home in Bordeaux. Odilon also took up etching and lithography under Rodolphe Bresdin. Odilon’s artistic career was interrupted when he joined the French army in 1870. At the end of the war, he went to Paris where he started working mostly in charcoal and lithography. In 1878, his Guardian Spirit of the Waters gave him some recognition in the Paris art scene. He then published his first album of lithographs the next year entitled Dans le Reve. And yet Odilon remained unknown up his name was mentioned in a cult novel titled A Rebours, or Against Nature by Joris-Karl Huysmans. In the novel, the protagonist is a disenchanted aristocrat who collected Redon’s drawings. In 1890, Odilon began working using pastels and oils which became his dominant media of choice until he died. He was awarded the Legion of Honor in 1903. His popularity in the art scene further increased after the publication of his etchings and lithographs in 1913. Odilon Redon died on July 6, 1916.